Calling Grand Junction the best biking town in the country is a bold claim, especially considering the competition from famous meccas like Pisgah, Moab, Bend, Sedona, and on. But, there is plenty of street (trail?) cred to this town on Colorado’s Western Slope that backs it up. Whether we're talking skinny tires or fat, the cycling scene in general is active and passionate. The town itself is home to several bike shops that are excellent places to gear up, get information on rides, and the scoop on trail conditions. There are also dedicated coalitions that build and maintain the trails in the area, and their love for their work shows in the pure quality of the trail systems. Proof of the vibrant scene is the sheer amount of events that happen throughout the Grand Valley in the spring. April brings the Fruita Fat Tire Festival and the USA Cycling Collegiate & Para-Cycling National Championships, while May is host to the Grand Junction Off-Road Mountain Bike Endurance Event and Downtown Music Festival. That last one is not to be missed—it’s three days of riding, racing, music, food, and activities for riders of all levels as well as the whole family. 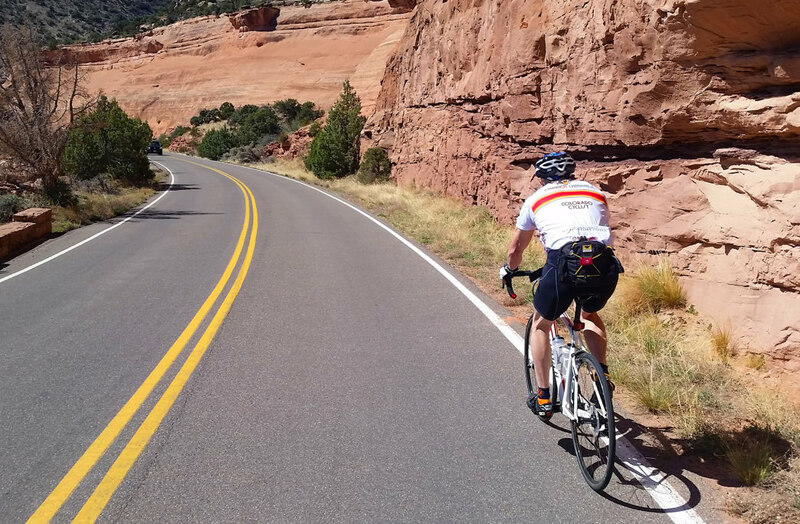 Fall is the perfect time of year to tick a true road cycling event off your bucket list by completing the 41- or 62-mile route through the Colorado National Monument at Tour of the Moon in September. For the lovers of singletrack, there are miles and miles of it, from fun flow fests to super-techy challenges, lung busting climbs to white-knuckle descents, and from hour-long spins to all-day epics. The only question is, how far do you want to go? Start with perhaps the most famous ride at the Tabeguache trailhead, better known as the Lunch Loops. Right outside of town, the trails were named by locals that could bust out of work and get a quick ride in during lunch, and it’s turned into a full blown destination in and of itself. Trails range from beginner to full-on black diamond, downhill-only, and everything in between. Most of the trails here are intermediate to difficult, so if you’re looking for an easier option, try the Three Sisters trail system (adjacent to the Lunch Loops). The area is a spiderweb of loops where the only limit is your imagination and number of daylight hours remaining. Ride among towering desert formations, across green bands of bentonite and red, iron-laden slickrock. Top out on gorgeous mesas with views that stretch endlessly in all directions. Negotiate tight singletrack and have a ball in large freeform playgrounds with all sorts of natural obstacles like natural halfpipes, insanely steep descents, and ridiculously fun wall rides. When you’re ready to tackle the local test piece, it’s time to hit the Ribbon. Best as a shuttle, fly down some of the most gorgeous, interesting, and technical slickrock east of Moab on this 1,500-foot descent. (Bring the camera for this one!) Link it up to Holy Cross and revel in some of the most challenging, fun riding out there. Then, buy new brake pads. Grand Junction has plenty to do on the road, too. 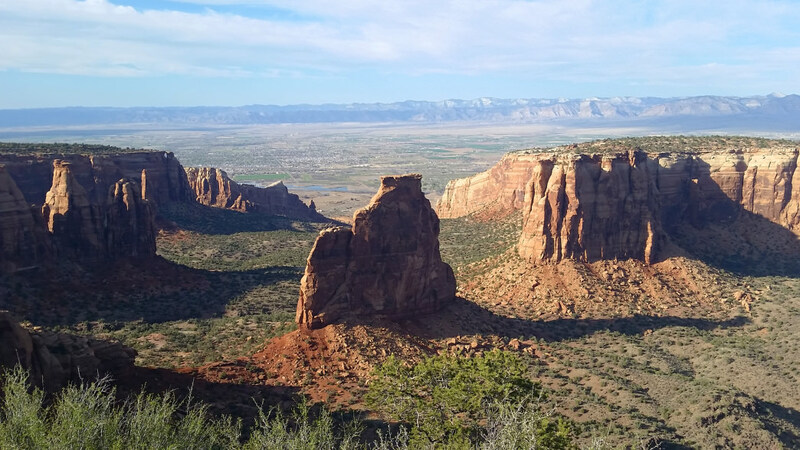 The 33-mile ride through the incredibly scenic Colorado National Monument tests the legs and the lungs with views that can easily fill a camera’s entire memory card. The route is also historically significant in that it was part of America’s first big road race, the Coors Classic. This race launched the careers of some of the world's greatest cyclists like Greg Lemond and Bernard Hinault, and blazed the trail for road racing's growth in the U.S. It was also featured in the classic 1985 movie American Flyers. Looking to get some climbing in? The Grand Mesa is the largest flat-topped mountain in the world, with two climbs that frequently make the Top 100 Climbs in the U.S. list. 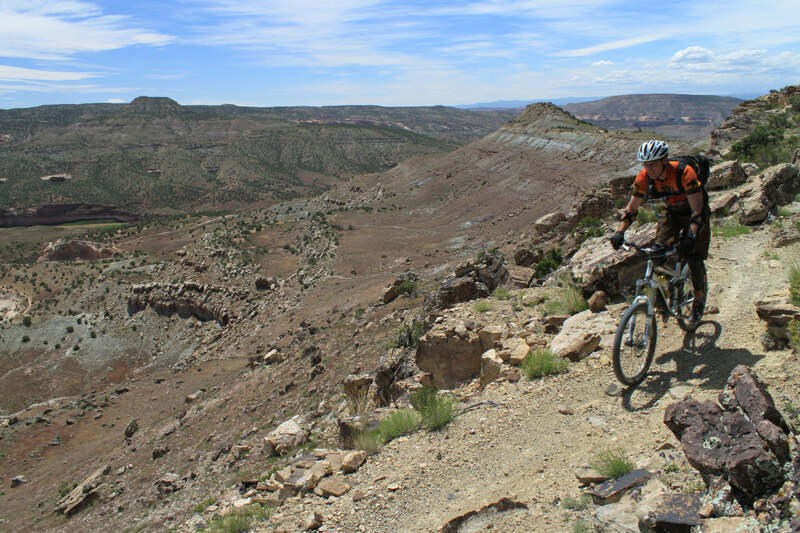 Check out Grand Mesa North: 22 miles with more than 5,700 feet of elevation gain. The first 13.8 miles average a 6.5% grade, then slacks off just a bit to 3.5%. The next day, hit Grand Mesa South, for over 19 miles with more than 4,600 feet of climbing and an average incline of 4.8%. They both top out at over 10,800 feet. One not enough? Do them both in a day. After all this riding, it’s time for a rest day. Of course "rest" is a subjective term to outdoor athletes. Good thing Grand Junction has outdoor recreation opportunities galore like rock climbing, bouldering, camping, hiking, running, rafting, golfing, off-roading, and even disc golf. But one of the most unique things the area offers is biking through Colorado’s wine country. There is a bike path that meanders alongside the many orchards and vineyards in the area and showcases spectacular vistas of Grand Mesa and the entire Grand Valley, lovingly called the "Fruit and Wine Byway." 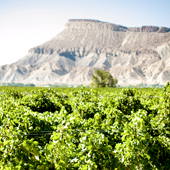 It starts in nearby Palisade, and winds through more than 30 stops, including wineries, fruit stands, farms, and orchards. Do it in August and sample a famous Palisade Peach. More into beer than wine? Colorado is well-known to have a prolific craft brewing culture, and Grand Junction is taking part in the trend. Check out local breweries like Kannah Creek Brewing Co., Rockslide Restaurant and Brewery, The Alehouse, or Edgewater Brewery. We’ve covered the unparalleled mountain biking, world-class road riding, virtually unlimited rest day fun, and we haven’t even mentioned Grand Junction’s walkable downtown. 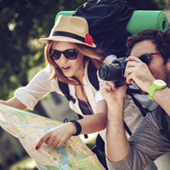 It’s filled with eateries, coffee shops, educational museums, cool watering holes, and charming boutiques. Downtown is the perfect place to stop for a bite to eat before your outdoor adventure or to relax after a long day on two wheels. Obviously, calling Grand Junction the best biking town in the country could be contested, but if the above doesn’t offer up enough proof that it’s at least in the running, there’s only one thing left to do: get out there and put the tires to the dirt. The Tabeguache Trail spans out and connnects Grand Junction to Montrose through it's 142 miles of wild, uninhabited desert.